Make way! The Matchbox Pop Up Rigs are coming through! The fun grows as soon as the trucks start moving, because they pop up and grow even bigger. They also sound off literally when they are rolling, making realistic honking sounds and flashing their headlights. Build upon the action by taking the authentic rugged wheels out for a spin. 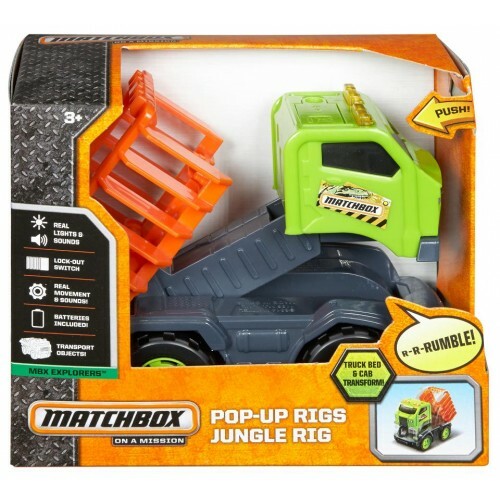 Collect all the Pop up Rigs for tons of realistic excitement. Each sold separately, subject to availability. Colors and decorations may vary.